ThatGalJenna: Thrifty Thursday and I get a visit from the Giveaway Fairy! Thrifty Thursday and I get a visit from the Giveaway Fairy! So mustaches are quite the craze right now, so needless to say, when I stumbled upon this gem of a tutorial I just had to share it with you! What I love about it is that you can really use whatever fabric you have handy, you may want to reinforce thinner fabrics, but still an easy DIY! 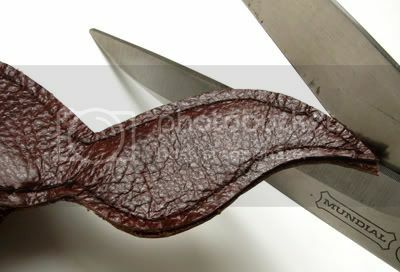 You could even fill it with polyfil to make it a nice and fluffy 'stache! So many options to make it your own. I found this tutorial on The Etsy Russian Team blog. Enjoy! So what do you think? Will you give it a shot? What about you? Has the Giveaway Fairy paid you a visit recently? That keychain is so awesome. It just brightened my very early morning! Congratulations on your little box! It sure is pretty and that is one of my favorite blogs as well. Love the mustache tutorial. Those little things are so popular. 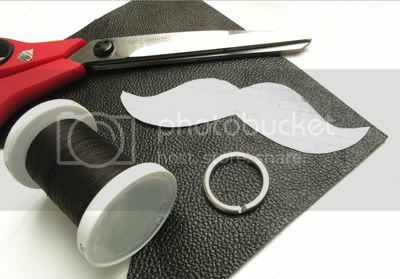 Great tutorial--don't know if I'm the mustache type but I admire anyone who can sew leather! I love anything Tiffany's. I always have the worse luck on giveaways! 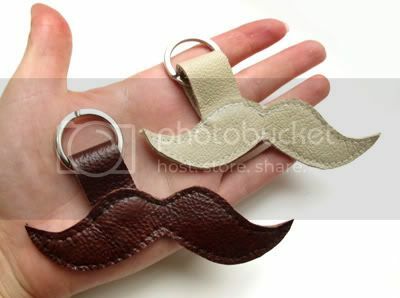 The tache keychain is super amazing! That needs to be on my set of car keys NOW! Coincidence, I won a giveaway necklace last week! First thing I ever win, too.